When you are trying to find the right Asheville window blinds and shutter company to help you take the design of your home to the next level, you have come to the right place. Here at Sweet Shutters & Shades, our team of experienced professionals have an extensive history of helping local homeowners just like you find the perfect new window treatment options to help them get the design for their homes that they've always wanted. For over two decades now, our team of experienced Asheville shutter and window blind specialists have been helping local homeowners find the perfect window treatment options they need to fully realize all of their design goals for their home's interior, and we have no intention of slowing down anytime soon. 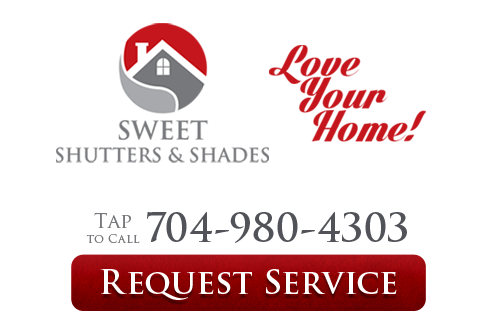 When you make the call to our team of experts here at Sweet Shutters & Shades, you can have peace of mind knowing that our team of experienced pros will be on hand, and are ready to work with you directly to help you find the new shutters or window blinds that are going to give you the level of beauty and function that you need. When it comes to your home's window treatment options, we believe that you should never have to settle for anything less than the best, and when you make the call to our team of professionals, you never will. Here at Sweet Shutters & Shades, we make it a point of pride to ensure that each and every customer that we are called on to help gets the same, unmatched quality service for their project, no matter how simple or complex it might be. We take this line of work very seriously, and we believe that is evident in the exceptional quality results that we are able to deliver to our customers time and time again. We make use of some of the highest quality products available today from some of the industry's leading manufacturers, so you can feel confident in knowing that your new shutters or window blinds are something that you and your family are going to be able to enjoy for many years to come. If you have any questions about our full line of high quality shutters or window blinds, or if you would like to schedule an appointment for consultation with one of our specialists, give us a call today. Our team of experts are always standing by and would be more than happy to assist you in any way we can. 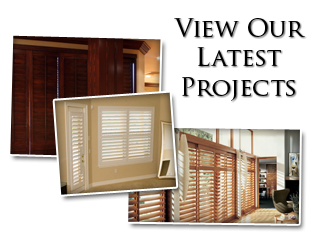 We want to be your go to shutter company for Asheville window treatments. When it comes to quality window treatments for your home, shutters are easily one of the most popular and frequently sought after options among homeowners all over the country, and for good reason. Shutters come in a wide variety of different styles, materials, and colors, so no matter what kind of design you are trying to achieve within your home, there is a shutter option out there that will allow you to do so. There are a number of reasons that high quality shutters are so popular, but it all begins with the simple fact that shutters are the ideal window treatment option when you are looking to enhance the overall privacy and the light control of your home. 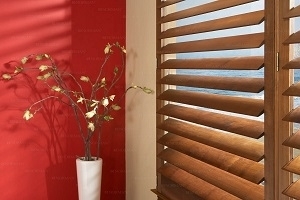 While window blinds come in at a close second, they just don't offer you the same degree of control over how much light is allowed to enter your home, as the ability to simply adjust the louvers and slats of your shutters just happens to be unmatched in their ability to help regular the right amount of light to allow through at any given time of day. In addition, shutters are a much more solid construction than blinds, and are nowhere near as transparent, so you don't have to worry about silhouettes being visible to anyone outside who might be looking in. If shutters aren't exactly what you are looking for, our team of professionals would be more than happy to assist you with new window blinds for your home. We have a wide range of different options available for you to choose from, consisting of many different materials, colors, and styles to make sure you get exactly what you need to enhance your home. If you are looking for an experienced Asheville shutters or window blinds professional, give us a call today at 704-980-4303 or fill out our online request form.